Adaptation to change that's based on thoughtful planning and grounded in the mission of libraries: it's a model that respected LIS thinker and educator Michael Stephens terms "hyperlinked librarianship." 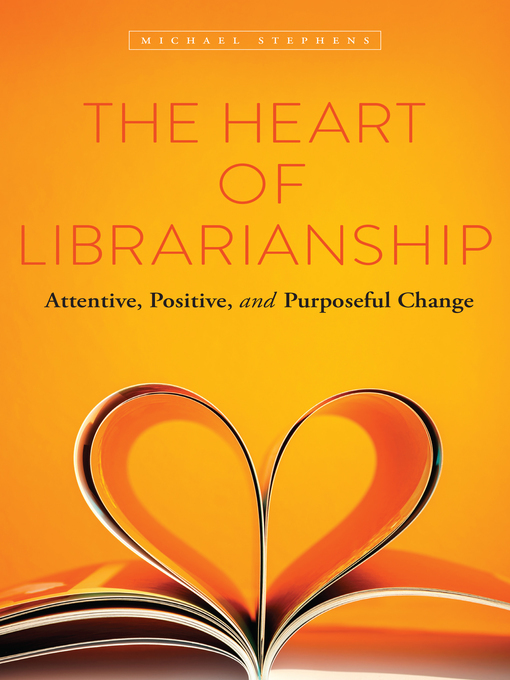 And the result, for librarians in leadership positions as well as those working on the front lines, is flexible librarianship that's able to stay closely aligned with the needs and wants of library users. In this collection of essays from his "Office Hours" columns in Library Journal, Stephens explores the issues and emerging trends that are transforming the profession. Among the topics he discusses are: the importance of accessible, welcoming, and responsive library environments that invite open and equitable participation, and which factors are preventing many libraries from ramping up community engagement and user-focused services; challenges, developments, and emerging opportunities in the field, including new ways to reach users and harness curiosity; considerations for prospective librarians, from knowing what you want out of the profession to learning how to aim for it; why LIS curriculum and teaching styles need to evolve; mentoring and collaboration; and the concept of the library as classroom, a participatory space to experiment with new professional roles, new technologies, and new ways of interacting with patrons. Bringing together ideas for practice, supporting evidence from recent research, and insights into what lies ahead, this book will inform and inspire librarians of all types. Michael Stephens is assistant professor in the School of Information at San Jose State University. He has consulted and presented for U.S. embassies in Germany, Switzerland, and Turkey, and presents to both national and international audiences about emerging technologies, learning, innovation, and libraries. Since 2010 he has written the monthly column "Office Hours" for Library Journal. To review his archive of work, visit his Tame the Web website and blog at tametheweb.com.